Unfortunately she’s not to confident at riding solo just yet, I tried her with a trx250a a while back and ended up selling it. We did get away to Portugal a couple weeks ago though and I convinced her to come on a trail adventure on an ATV with me. After 20 minutes of scared giggling she settled into it and actually enjoyed it. Bought a 450s now that’s road legal so hoping to get out with her (and rodp) soon on some byways (trails). Congratulations Sam! Very nice bike. Come to Canada and work on mine!!!! If I could afford to I would, beleive me! I’d love to move to the USA in all honesty but it’s affording it and finding work ahead of the move. I’ve looked into it several times now and all ways prove to be costly and time consuming unfortunately. Okay, Sam. You don't owe me anything; even if my entry made yours look super stellar by providing diametric contrast. Actually... I did all the entrants the same solid with my Little Pinky pic. fishfiles and SamUK like this. Hey you’ve gotta’ be in it to win it haven’t you, these 300’s seem to touch hearts on this forum to lol. Congrats to SamUK for winning this month! 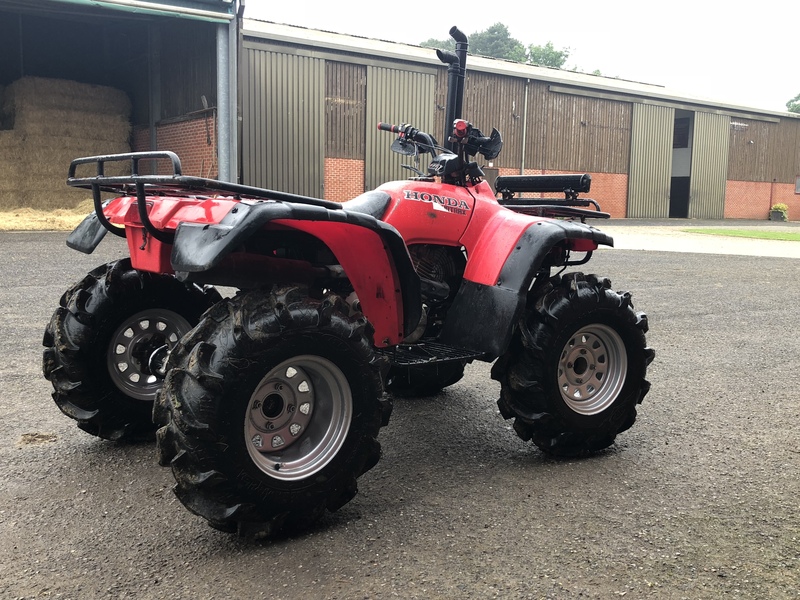 350D rear end, Trx250a cam, 54% GR, EBC clutches, Gen2 wiring harness, Hot Shot CDI, Rear brake delete, SuperATV front discs, 2" suspension lift, 1” front fender lift, 1” rear fender lift, 2" wheel spacer, 3” swing arm & shaft stretch, Superwinch up front (custom mount), Plasma (synthetic) rope, Pro Grip bar grips, Pro grip hand guards, 1 1/2" bar risers , Floor boards, Custom snorkel, Extended silicone breathers, ITP Delta wheels, 28 x 9 - 12 Mega Mayhem’s, Custom rear tow point, 22” 70w LED light bar, 18w LED light pods.